A pathway to marketing approval in the US for generics that requires a reduced amount of data to be submitted to the FDA. An Abbreviated New Drug Application (ANDA) contains data which when submitted to the FDA’s Center for Drug Evaluation and Research, Office of Generic Drugs, provides for the review and ultimate approval of a generic drug product. Once approved, an applicant may manufacture and market the generic drug product to provide a safe, effective, low cost alternative to the American public. An adverse event can therefore be any unfavourable and unintended sign (e.g. an abnormal laboratory finding), symptom or disease temporally associated with the use of a medicinal product, whether or not considered related to the medicinal product. Response in this context means that a causal relationship between a medicinal product and an adverse event is at least a reasonable possibility. Antibodies (also known as immunoglobulins, abbreviated to Ig) are proteins found in blood or other bodily fluids. They are produced by humans and animals in response to the presence of a specific antigen such as micro-organism, e.g. virus, bacterium. They are used by the immune system to identify and neutralize foreign objects, such as bacteria and viruses by binding to an antigen in a manner that leads to immunological responses such as death of bacteria, elimination of foreign proteins, etc. Usually antibodies are very useful and allow individuals to deal with current and subsequent infections. They can become a problem in some circumstances, e.g. autoimmune disease. Technique for measuring a biochemical or immunological response. A disease caused by the body producing an excessive immune response against its own tissues. Thereby, the immune system ceases to recognize one or more of the body’s normal constituents as ‘self’ and will create auto-antibodies that attack its own cells, tissues, and/or organs. Inflammation and tissue damage are common symptoms of autoimmune diseases. The rate and extent to which the active substance or active moiety is absorbed from a pharmaceutical form and becomes available at the site of action. The rate and extent to which the active ingredient or active moiety is absorbed from a drug product and becomes available at the site of action. For drug products that are not intended to be absorbed into the bloodstream, bioavailability may be assessed by measurements intended to reflect the rate and extent to which the active ingredient or active moiety becomes available at the site of action. Two medicinal products are bioequivalent if they are pharmaceutically equivalent or pharmaceutical alternatives and if their bioavailabilities after administration in the same molar dose are similar to such degree that their effects, with respect to both efficacy and safety, will be essentially the same. Pharmaceutical equivalent or alternative products that display comparable bioavailability when studied under similar experimental conditions. A medicinal product or a vaccine that consists of, or has been produced by the use of, living organisms such as cells or tissues. Often recombinant DNA (a form of DNA that does not exist naturally and which combines DNA sequences that would not normally occur together in order to establish new functions) forms the basis for biotechnologically manufactured products. Examples include therapeutic proteins such as antibodies, insulin or interleukins; but also vaccines, nucleic acids or tissues and cells. Biologicals have large, complex, inherently diverse molecular structures that are not easily identified or characterized and many are manufactured using biotechnology. Biological products often represent the cutting edge of biomedical research and are sometimes the most effective way to prevent or treat a disease. Biotechnology medicines are derived through three main sources: yeast cells, bacterial cells and mammalian cells. These host cells are genetically modified and are allowed to multiply in a process referred to as fermentation. Human protein, i.e. the active ingredient of the future medicine, is either produced and contained within the host cells or secreted into a nutrient solution. The cells and their human protein products are then removed, separated, purified and processed into a formulated medicine. A biosimilar is a biological medicinal product that contains a version of the active substance of an already authorized original biological medicinal product (reference medicinal product) in the European Economic Area (EEA). Similarity to the reference medicinal product in terms of quality characteristics, biological activity, safety and efficacy based on a comprehensive comparability exercise needs to be established. Biological medicines are medicines that are made by or derived from a biological source, such as a bacterium or yeast. They can consist of relatively small molecules such as human insulin or erythropoietin or complex molecules such as monoclonal antibodies. The active substance of a biosimilar and its reference medicine is essentially the same biological substance, though there may be minor differences due to their complex nature and production methods. Like the reference medicine, the biosimilar has a degree of natural variability. When approved, its variability and any differences between it and its reference medicine will have been shown not to affect safety or effectiveness. An authorized biosimilar is generally used at the same dose to treat the same conditions. If there are specific precautions to be considered when taking the reference medicine, the same will generally apply to the biosimilar. Biosimilars can only be authorized for use once the period of data exclusivity on the original ‘reference’ biological medicine has expired. In general, this means that the biological reference medicine must have been authorized for at least 10 years before a similar biological medicine can be made available by another company. A biosimilar is a biological product that is highly similar to a US-licensed reference biological product notwithstanding minor differences in clinically inactive components, and for which there are no clinically meaningful differences between the biological product and the reference product in terms of the safety, purity and potency of the product. Biosimilar medicines are follow-on versions of original biological medicines. Biosimilars can be developed during the period in which the originator product is protected by patent exclusivity, but they can only be marketed after the patent protecting the originator product has expired. Biosimilar medicines are independently developed to have the same mechanism of action as the original biological medicines, and are designed to treat the same diseases as the innovator’s product. Study with the objective of determining how a medicine is handled by, and affects, humans, and of helping to predict the initial dosage range for the medicine and to test the safety profile. Although such studies are often conducted in a small cohort of healthy volunteers, phase I studies in patients are also possible in some situations. The defined daily dose (DDD) is a statistical measure of drug consumption, defined by the World Health Organization (WHO). It is used to standardize the comparison of drug usage between different drugs or between different healthcare environments. The DDD is not to be confused with the therapeutic dose or with the dose actually prescribed by a physician for an individual patient. The European Medicines Agency (EMA) is responsible for approving all medicines before they are made available to doctors and patients in the 28 Member States of the European Union. A medicinal product is essentially similar to an original product where it satisfies the criteria of having the same qualitative and quantitative composition in terms of active substances, of having the same pharmaceutical form, and of being bioequivalent unless it is apparent in the light of scientific knowledge that it differs from the original product as regards safety and efficacy. By extension, it is generally considered that for immediate release products the concept of essentially similar also applies to different oral forms (tablets and capsules) with the same active substance. Data processing network and management system for reporting and evaluating suspected adverse reactions during the development and following the marketing authorization of medicinal products in the European Economic Area (EEA). Extending the findings from one set of conditions to another, such as extending and applying the safety and efficacy data from clinical studies regarding one indication (medical condition) to another indication or extending data from clinical studies in one population (e.g. adults) to another, e.g. children. Extrapolation concerns the extrapolation of four different aspects; efficacy, safety, immunogenicity and interchangeability. It may concern the indication, population or both. The US Food and Drug Administration (FDA). This agency is responsible for approving all medicines before they are made available to doctors and patients in the United States. A drug product that has the same composition in active substance(s) and the same pharmaceutical form as the originator reference medicine, as well as the same dosage form, strength, route of administration, quality and performance characteristics and intended use, and whose bioequivalence with the originator reference medicine, i.e. the same behaviour in the body, has been demonstrated by appropriate bioequivalence studies. A generic medicine may be made by a different company after patent expiry of the originator product. The immune response is the way the body recognizes and defends itself by producing antibodies against micro-organisms, viruses and substances recognized as foreign and potentially harmful to the body. The INN identifies pharmaceutical substances or active pharmaceutical ingredients. Each INN is a unique name that is globally recognized and is public property. A nonproprietary name is also known as a generic name. A hormone of vertebrates and invertebrates produced in the pancreas by the islets of Langerhans that promotes the conversion of glucose to glycogen and which regulates the amount of glucose in the blood. The lack of insulin causes a form of diabetes. Interchangeability can be at the population level, meaning both products can be used for treatment of the same condition in the same population. It can also be on an individual level, meaning that in an individual patient, the products can be alternated or switched. Interchangeability at the individual level is a condition for substitution. In vitro refers to biological or chemical studies carried out in the test tube (in vitro is Latin for ‘within the glass’) rather than in living systems. In vivo refers to biological or chemical studies carried out on whole, living organisms usually animals including humans and plants (in vivo is Latin for ‘within the living’), as opposed to a partial or dead organism or those done in vitro. Of a molecule. Relating to or consisting of molecules. A group of atoms bonded together, representing the smallest fundamental unit of a chemical compound that can take part in a chemical reaction. Molecules are made up of one or more atoms. If they contain more than one atom, the atoms can be the same (an oxygen molecule has two oxygen atoms) or different (a water molecule has two hydrogen atoms and one oxygen atom). Biological molecules, such as proteins, can be made up of many thousands of atoms. Monospecific antibodies that are produced by a single clone of immune cells. They have become an important tool in molecular biology and medicine, and are the basis of many biopharmaceuticals. A non-biological complex drug (NBCD) is defined as a medicinal product, not being a biological medicine, where the active substance is not a homo-molecular structure, but consists of different (closely related) structures that can’t be fully quantitated, characterized and/or described by (physico-)chemical analytical tools. The composition, quality and in vivo performance of NBCDs are dependent on the manufacturing process and controls. Examples of NBCDs include liposomes, iron-carbohydrate (‘iron-sugar’) drugs and glatiramoids. A medicine that has been developed and produced by an originator company and that has been approved by the national regulatory authorities or the European Commission on the basis of a full registration dossier. Medicinal products are pharmaceutical alternatives if they contain the same active moiety but differ in chemical form (salt, ester, etc.) of that moiety or in the dosage form or strength. Drug products are considered pharmaceutical alternatives if they contain the same therapeutic moiety, but are different salts, esters or complexes of that moiety, or are different dosage forms or strengths (e.g. tetracycline hydrochloride, 250 mg capsules vs. tetracycline phosphate complex, 250 mg capsules; quinidine sulfate, 200 mg tablets vs. quinidine sulfate, 200 mg capsules). Data are generally not available for the FDA to make the determination of tablet to capsule bioequivalence. Different dosage forms and strengths within a product line by a single manufacturer are thus pharmaceutical alternatives, as are extended-release products when compared with immediate- or standard-release formulations of the same active ingredient. Medicinal products are pharmaceutically equivalent if they contain the same amount of the same active substance(s) in the same dosage forms that meet the same or comparable standards. Pharmaceutical equivalence does not necessarily imply bioequivalence as differences in the excipients and/or the manufacturing process can lead to faster or slower dissolution and/or absorption. To be considered pharmaceutical equivalents, two drugs must contain the same active ingredient(s), have the same dosage form and route of administration and have identical strength or concentration. Pharmaceutically equivalent drugs may differ, however, in shape, scoring configuration, release mechanisms, packaging, excipients (including colours, flavours, preservatives), expiration time and labelling (within certain limits). Generics are an example of pharmaceutical equivalents. Pharmaceutical equivalence implies the same amount of the same active substance(s), in the same dosage form, for the same route of administration and meeting the same or comparable standards. Studies to determine how medicines are absorbed, distributed metabolized and eliminated by the body. Any study with an authorized medicinal product conducted with the aim of identifying, characterizing or quantifying a safety hazard, confirming the safety profile of the medicinal product, or of measuring the effectiveness of risk management measures after their approval by regulatory authorities. Acronym for ribonucleic acid. RNA is made up of a long chain of components called nucleotides. Each nucleotide consists of a nucleobase, a ribose sugar and a phosphate group. The sequence of nucleotides allows RNA to encode genetic information that directs the synthesis of proteins. The practice of dispensing one medicine instead of another equivalent and interchangeable medicine in any given patient at the pharmacy level without consulting the prescriber. The FDA believes that products classified as therapeutically equivalent can be substituted with the full expectation that the substituted product will produce the same clinical effect and safety profile as the prescribed product. Decision by the treating physician to exchange one medicine for another medicine with the same therapeutic intent (e.g. from originator to generic/biosimilar orvice versa) in a patient during the course of treatment. In hospitals, the decision to switch a medicine is made by a multidisciplinary team including the clinical community (therapeutic/formulary committee). A medicinal product is therapeutically equivalent with another product if it contains the same active substance or therapeutic moiety and, clinically, shows the same efficacy and safety as that product, whose efficacy and safety has been established. Drug products are considered to be therapeutic equivalents only if they are pharmaceutical equivalents and if they can be expected to have the same clinical effect and safety profile when administered to patients under the conditions specified in the labelling. A drug that has essentially the same effect, in the treatment of a disease or condition, as one or more other drugs. A drug that is a therapeutic equivalent may or may not be chemically equivalent, bioequivalent or generically equivalent. Therapeutic equivalence is considered demonstrated if the 90% confidence intervals of the ratios for the log AUC0-tand Cmax between the two preparations lie in the range 80-125%. Drugs classified as therapeutically equivalent can be interchanged with the full expectation that the substituted product will produce the same clinical effect and safety profile as the prescribed product. The ability to trace each individual unit of a medicinal product from the source to its final destination and vice versa. 1. Weise M, Bielsky M, De Smet K, Ehmann F, Ekman N, Narayanan G, et al. Biosimilars—why terminology matters. Nat Biotechnol. 2011(8); 29:690-3. 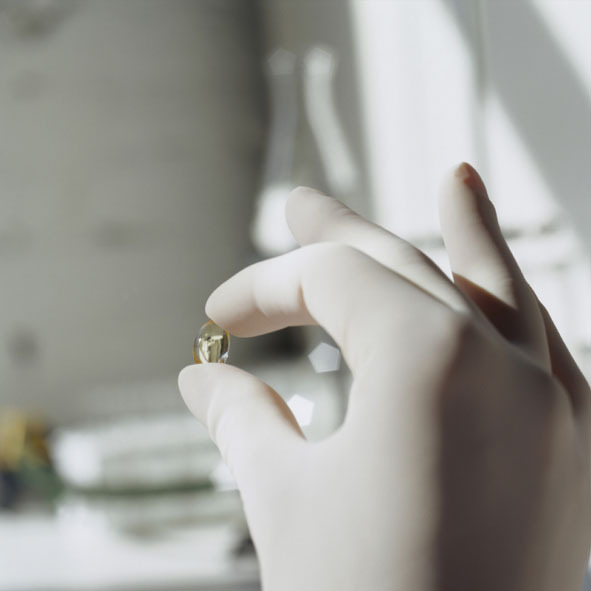 Biosimilars have gained tremendous interest in recent years. However, there are many challenges associated with their development that include batch to batch variability, complexity of biologic formulations and variable results from clinical trials. These become a cause for concern for both the FDA and industry as they must agree upon a standard guidance to prove the similarity between the reference and a test product. The big questions still remain unanswered. How similar is similar enough? How far are we from having a biosimilar product in the US market?